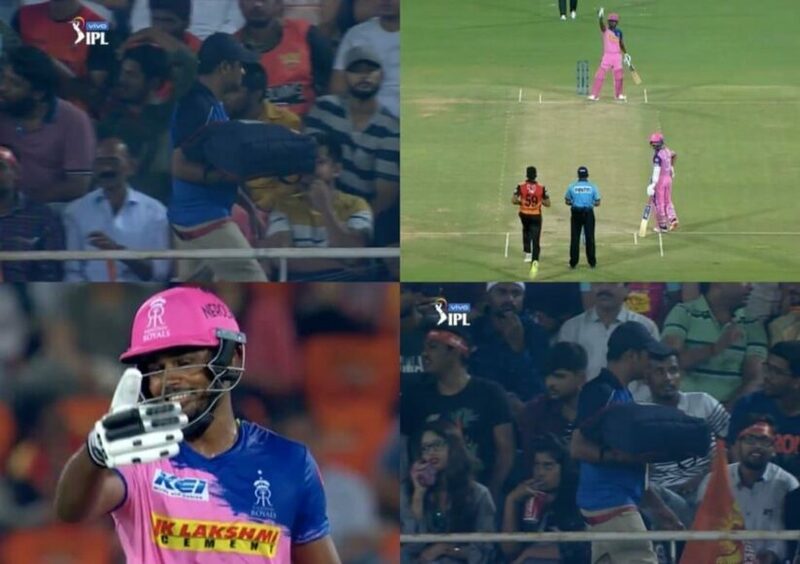 You may have heard about fans but there are certain people who go beyond the boundaries and become a superfan. 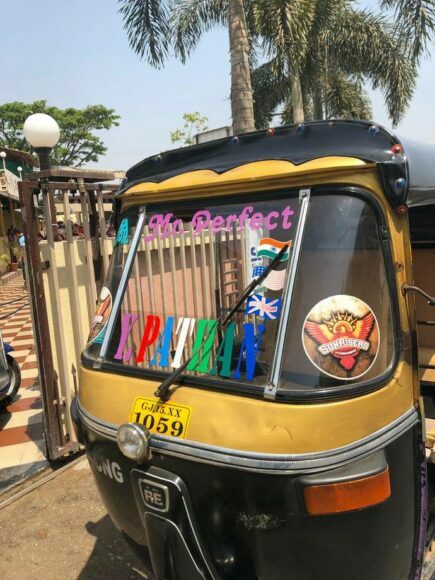 The same can be understood by Javed Shah, who happens to be a auto driver in the city of Valsad in Gujarat and is a huge fan of Yusuf Pathan. The 33-year-old has been offering discounts and even free ride from last three IPL seasons. Until last year, he was offering a discount of 25 percent to 75 percent but this year he is offering his services for free if Pathan scores a half century for Sunrisers Hyderabad. “This year, every time Yusuf Bhai scores 50 or more runs for Sunrisers Hyderabad, passengers will get a free ride within the Valsad city. I will not charge a penny,” Javed tells Sportstar. “Until last year, I gave 25 percent discounts on the total fare, every time he scored 25-30 runs. The percentage would go up depending on the runs he scored. But he did not score too many runs, so I could not offer a 100 percent discount to anybody,” he added. 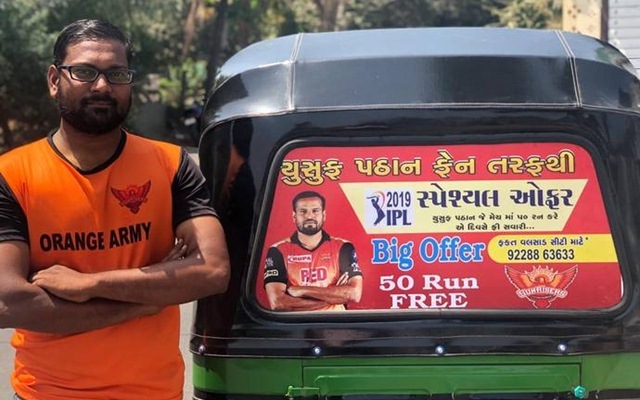 Javed has decorated his auto with posters of Yusuf and became the fan of hard hitting all-rounder, three years ago, when team Baroda travelled to Valsad for a Ranji trophy fixture where he met Yusuf. He revealed that the 37-years-old all-rounder called him for a meal and it was his honour to spend time with him. Javed has remained in touch with Yusuf since then. Are you one of those superfan of your favourite cricketer? Do tell us in the comments below.